ALAMEDA, Calif. – The Oakland Raiders have signed unrestricted free agent S Curtis Riley, the team announced Friday. Riley, a 6-foot, 203-pound safety, spent his first three seasons (2015-17) with the Tennessee Titans and was most recently with the New York Giants in 2018. Over his first four years, Riley has appeared in 27 contests and made 16 starts, compiling 84 tackles (68 solo), five interceptions including one returned for a score and seven passes defensed. Last season, Riley set career highs across the board with the Giants, including games played and started (16), tackles (73), interceptions (four) and passes defensed (five). He ranked second on the team in interceptions while placing third in tackles. A native of Orlando, Fla., the former undrafted free agent out of Fresno State played in 26 games and made 19 starts in two seasons (2013-14) with the Bulldogs, where he totaled 106 tackles, including 10 for loss, one interception, 16 passes defensed, one sack, two forced fumbles and one fumble recovery. Prior to his time with Fresno State, Riley made stops at Mars Hill in 2010 and Fullerton College in 2012. ALAMEDA, Calif. – The Oakland Raiders have re-signed unrestricted free agent WR/RS Dwayne Harris, the club announced Monday. Harris, originally drafted in the sixth round (176th overall) of the 2011 NFL Draft by the Dallas Cowboys, joined the Raiders in 2018 after spending the previous three seasons (2015-17) with the New York Giants. For his career, Harris has played in 103 games and made 11 starts. As a returner, he has totaled 159 kickoff returns for 4,055 yards (25.5 avg.) and one touchdown in addition to 177 punt returns for 1,805 (10.2 avg.) and four scores. On offense, Harris has posted 76 receptions for 867 yards and eight touchdowns. Last season, the 5-foot-11, 206-pounder took home two AFC Special Teams Player of the Week Awards with the Silver and Black after appearing in 15 contests and making one start. Harris averaged 14.1 yards per punt return, the second-best single-season mark in franchise history, as he also tied for the NFL lead. He also returned a punt 99 yards for a touchdown, tied for the second-longest punt return in NFL history. Additionally, Harris finished 10th in the NFL with a 22.9-yard kickoff return average. A native of Stone Mountain, Ga., Harris played in 50 games at East Carolina and was twice named to the All-Conference USA First Team. As a senior in 2010, he set a school record with 41 kickoff returns for 839 yards and added 222 yards on 19 punt returns. ALAMEDA, Calif. – The Oakland Raiders have signed unrestricted free agent DE Josh Mauro, the team announced Friday. Mauro, a former undrafted free agent who originally signed with the Arizona Cardinals following the conclusion of the 2014 NFL Draft, joins the Raiders to embark upon his sixth season in the league after spending the first four with the Cardinals and most recently as a member of the New York Giants in 2018. In his first five seasons, Mauro appeared in 59 contests and made 30 starts, compiling 102 tackles (72 solo), three sacks, four passes defensed, two forced fumbles and one fumble recovery. In three postseason contests, including two starts, Mauro has totaled three stops (two). Last season, the 6-foot-6, 290-pound defensive end played in 12 contests and made four starts for the Giants. He totaled 28 tackles (17) and one sack over the course of the season. A native of Hurst, Texas, Mauro played four seasons (2010-13) at Stanford, appearing in 48 games and making 11 starts. He totaled 81 tackles, including 21.5 for loss, 11 sacks, one interception, three passes defensed, two forced fumbles and one fumble recovery during his collegiate career. ALAMEDA, Calif. – The Oakland Raiders have signed DT Johnathan Hankins to a two-year contract, the club announced Thursday. Hankins joined the Raiders in 2018 after a one-year stint with the Indianapolis Colts, having spent the previous four years (2013-16) with the New York Giants after being selected by the team in the second round (49th overall) of the 2013 NFL Draft. 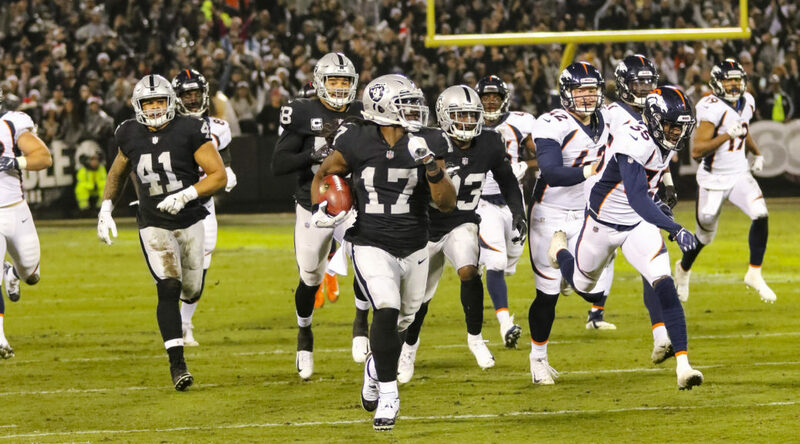 In his first season with the Silver and Black, Hankins appeared in 15 contests and made 14 starts, totaling 36 tackles (21) and two fumble recoveries. Over his six-year career, the 6-foot-2, 320-pound defensive tackle has appeared in 82 contests and made 70 starts, compiling 220 tackles (134 solo), 12 sacks, seven passes defensed, three forced fumbles and two fumble recoveries. Hankins has started in one postseason contest and recorded two tackles (one) and one sack. A native of Dearborn Heights, Mich., Hankins played three seasons at Ohio State, appearing in 38 contests and making 25 starts, totaling 138 tackles (58), five sacks, 16.5 tackles for loss and one fumble recovery. Hankins was named All-American Second Team and was an All-Big Ten Conference selection as a junior in 2013. ALAMEDA, Calif. – The Oakland Raiders have signed free agent DE Damontre’ Moore, the club announced Tuesday. A former third-round pick (81st overall) of the New York Giants in the 2013 NFL Draft, Moore enters his second stint with the Raiders after spending a portion of the 2016 training camp with the Silver and Black. Over his five-year career, Moore has made stops with the Giants (2013-15), Miami Dolphins (2015), Seattle Seahawks (2016) and most recently the Dallas Cowboys (2017). Since entering the league, he has appeared in 52 contests, compiling 62 tackles ( 42 solo), 10 sacks, four passes defensed, two forced fumbles and one fumble recovery. Last season, the 6-foot-4, 260-pound defensive end out of Texas A&M appeared in three contests for the Cowboys and tallied three stops (two). In a corresponding move, the Raiders have waived DE Fadol Brown. Brown was signed by the club as an undrafted free agent in 2017, spending his rookie campaign on the team’s practice squad. He appeared in eight contests in 2018, totaling 17 tackles (14) and one pass defensed. ALAMEDA, Calif. – The Oakland Raiders have signed free agents DT Johnathan Hankins and DT Clinton McDonald, the club announced Thursday. Now in his sixth year in the NFL, Hankins joins the Silver and Black after a one-year stint with the Indianapolis Colts, having spent the previous four years (2013-16) with the New York Giants after being selected by the club in the second round (49th overall) of the 2013 NFL Draft. Over his five-year career, the 6-foot-2, 325-pound defensive tackle has appeared in 67 contests and made 56 starts, compiling 184 tackles (113 solo), 12 sacks, seven passes defensed and three forced fumbles. Hankins has started in one postseason contest and recorded two tackles (one) and one sack. Last season, he started in all of his 15 appearances and recorded 44 stops (24), two sacks and three passes defensed in his lone season with the Colts. McDonald enters his ninth season in the NFL, having spent the last four seasons (2014-17) with the Tampa Bay Buccaneers. McDonald also played three seasons (2011-13) with the Seattle Seahawks after originally being drafted by the Cincinnati Bengals in the seventh round (249th overall) of the 2009 NFL Draft. Over his eight seasons, the 6-foot-2, 297-pound defensive tackle has appeared in 97 contests and made 36 starts, tallying 240 tackles (157), 19 sacks, two interceptions, six passes defensed and five fumble recoveries. His postseason totals include five games played with one start, totaling five tackles and two fumble recoveries. Last season, McDonald made three starts, compiling 29 stops (18), five sacks and one pass defensed. In a corresponding move, the Raiders have placed DT Justin Ellis on the Reserve/Injured List. ALAMEDA, Calif. – The Oakland Raiders have signed free agent CB Dominique Rodgers-Cromartie, the club announced Thursday. Rodgers-Cromartie, a two-time Pro Bowler (2009, 2015) and second-team All-Pro selection in 2016, spent his first three seasons from 2008-2010 with the Arizona Cardinals before having stints with the Philadelphia Eagles (2011-12), Denver Broncos (2013) and most recently with the New York Giants (2014-17). A veteran of 10 years, Rodgers-Cromartie has played in 153 contests and made 120 starts, recording 435 tackles (379 solo), 2.5 sacks, 30 interceptions, six returned for touchdowns, 144 passes defensed, six forced fumbles and two fumble recoveries. His postseason totals include 10 games played with 10 starts, making 32 tackles (31), three interceptions and 14 passes defensed. Since entering the league in 2008, his 144 passes defensed rank first among all active players, while his 30 interceptions rank sixth. In 2016, he led the Giants and finished tied for second in the NFL with six interceptions, earning a second-team All-Pro selection. A year prior in 2015, he started in all 15 games he appeared in and notched a career-high 56 tackles (52), three interceptions, one that was returned for a touchdown, 13 passes defensed, two forced fumbles and one fumble recovery en route to his second Pro Bowl honor. Originally drafted by the Cardinals in the first round (16th overall) of the 2008 NFL Draft, Rodgers-Cromartie recorded 13 interceptions and 66 passes defensed while appearing in all 48 games in his first three seasons, earning his first Pro Bowl selection in 2009. Additionally, he was recognized for his exceptional play in 2008 and named to the PFWA All-Rookie Team after posting four interceptions and 19 passes defensed, marks that paced all NFL rookies. Last season, the 6-foot-2, 203 pound cornerback played in 15 contests and made six starts for the Giants, tallying 48 stops (31) and one pass defensed. A native of Bradenton, Fla., he played four seasons at Tennessee State (2004-07). For the Tigers, he appeared in 44 games with 39 starts and earned All-American honors twice, finishing with 11 career interceptions, four of which he returned for touchdowns. In a corresponding move, the Raiders have Waived/Injured S Obi Melifonwu. A second-round (56th overall) selection by the club in the 2017 NFL Draft, Melifonwu appeared in five games and made one start in his rookie season, while spending 10 weeks on the Reserve/Injured List due to both a knee and hip injury. ALAMEDA, Calif. – The Oakland Raiders have signed free agent WR/RS Dwayne Harris, the club announced Monday. Harris was originally drafted in the sixth round (176th overall) of the 2011 NFL Draft by the Dallas Cowboys. After playing his first four seasons with the Cowboys from 2011-14, he signed with the New York Giants in 2015 and spent the past three years in New York. For his career, Harris has played in 88 games with 10 starts. As a returner, he has totaled 130 kickoff returns for 3,392 yards (11.8 avg.) and one touchdown in addition to 157 punt returns for 1,524 (9.7 avg.) and three touchdowns. On offense, Harris has posted 70 receptions for 827 yards and eight touchdowns. He was also named a Pro Bowler in 2016 as a special teamer. Last season, the 5-foot-11, 206-pounder appeared in five games for the Giants, returning nine kickoffs for 188 yards before being placed on the Reserve/Injured List with a foot injury. With the Cowboys in 2013, Harris finished second in the NFL with a 30.6 kickoff return average after recording 28 returns for 857 yards. ALAMEDA, Calif. – The Oakland Raiders have signed unrestricted free agent CB Leon Hall, the club announced Thursday. Hall spent his first nine seasons with the Cincinnati Bengals from 2007-15 before making stops with the New York Giants in 2016 and the San Francisco 49ers in 2017. He has played in 142 games with 108 starts, totaling 563 tackles (415 solo), 27 interceptions with three touchdowns, 115 passes defensed, six forced fumbles and two fumble recoveries. Originally drafted by Cincinnati in the first round of the 2007 NFL draft, Hall recorded 517 tackles (380), 26 interceptions, 112 passes defensed, five forced fumble and two fumble recoveries in his nine seasons with the Bengals. His 26 interceptions rank fourth in Bengals’ franchise history, and his time in Cincinnati overlapped with Raiders defensive coordinator Paul Guenther’s stint as the Bengals’ defensive coordinator. Last season, the 5-foot-11, 195-pounder spent the second half of the year with the 49ers, appearing in nine games with one start and totaled 16 tackles (15). A native of Vista, Calif., Hall played all four seasons at Michigan from 2003-06. He earned consensus All-American honors as a senior in 2006, leaving as the school’s record holder with 43 passes defensed. 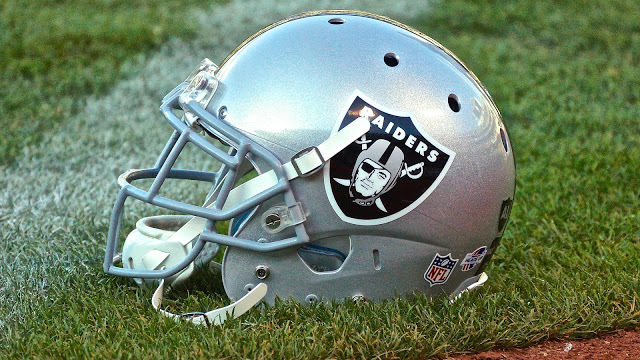 ALAMEDA, Calif. – The Oakland Raiders have signed unrestricted free agent OL Marshall Newhouse, the club announced Monday. Newhouse has spent the past two seasons as a member of the New York Giants after stops with the Green Bay Packers from 2010-2013 and Cincinnati Bengals in 2014. He has played in 86 games with 56 starts over his seven-year career, and has appeared in six postseason games. Originally entering the league as a fifth-round selection (169th overall) by the Packers in the 2010 NFL Draft, Newhouse played in 47 games with 31 starts for Green Bay, helping the team reach the postseason each year he played for them. Last season, the 6-foot-4, 323-pounder played in 10 games with six starts for the Giants and was part of an offensive line that allowed just 22 sacks on the season, third fewest in the league. A native of Dallas, Texas, Newhouse played collegiately at TCU from 2006-09, appearing in 52 games over his career.